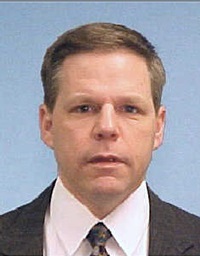 Special Agent Steven Carr died as the result of cancer he developed from being exposed to hazardous materials during recovery efforts at the Pentagon following the 9/11 Terrorist Attacks. Special Agent Carr was assigned to interview witnesses at the Pentagon’s Navy Annex, which was across the street from the still-burning Flight 77 impact site. During this time, the air around the Pentagon was still clouded with burning aviation fuel and smoldering debris. Special Agent Carr had served with the FBI for 20 years. He is survived by his wife and three children. Rest well my brother in blue. Thank you for service and sacrifice. Until we meet.